This name uses Eastern Slavic naming customs; the patronymic is Sergeyevna and the family name is Ulanova. Galina Sergeyevna Ulanova (Russian: Гали́на Серге́евна Ула́нова pronounced [ɡɐˈlʲinə ʊˈlanəvə], 8 January 1910 [O.S. 26 December 1909] – 21 March 1998) was a Russian ballet dancer. She is frequently cited as being one of the greatest ballerinas of the 20th century. Ulanova was born in Saint Petersburg, Russia, where she studied under Agrippina Vaganova and her own mother, a ballerina of the Imperial Russian Ballet. When she joined the Mariinsky Theatre in 1928, the press found in her "much of Semyonova's style, grace, the same exceptional plasticity and a sort of captivating modesty in her gestures". They say that Konstantin Stanislavsky, fascinated with her acting style, implored her to take part in his stage productions. In 1944, when her fame reached Joseph Stalin, he had her transferred to the Bolshoi Theatre, where she would be the prima ballerina assoluta for 16 years. 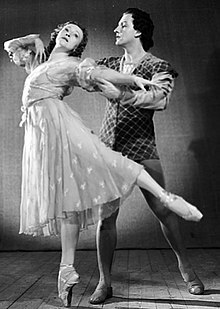 The following year, she danced the title role in the world premiere of Sergei Prokofiev's Cinderella. Ulanova was a great actress as well as a dancer, and when she was finally allowed to tour abroad at the age of 46, enraptured British papers wrote that "Galina Ulanova in London knew the greatest triumph of any individual dancer since Anna Pavlova". Having retired from the stage at the age of 50, she coached many generations of the Russian dancers. 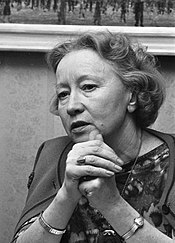 Ulanova was the only dancer to be awarded Hero of Socialist Labour, and she was also awarded the highest exclusively artistic national title, People's Artist of the USSR. She was awarded the Stalin Prize in 1941, 1946, 1947, 1950, and the Lenin Prize in 1957. She was elected a Foreign Honorary Member of the American Academy of Arts and Sciences in 1960. She died in 1998 in Moscow, aged 88, and is buried in the cemetery of the Novodevichy Convent. Ulanova's apartment in one of Moscow's Seven Sisters, the Kotelnicheskaya Embankment Building, is preserved now as a memorial museum. Monuments to Ulanova were erected in Saint Petersburg and Stockholm. Ulanova on a Russian 3-ruble postage stamp issued in 2000. Sergey Prokofiev: "She is the genius of Russian ballet, its elusive soul, its inspired poetry. Ulanova imparts to her interpretation of classical roles a depth of expression unheard of in twentieth century ballet." Evgeny Mravinsky: "The image of Ulanova – gentle, fragile and wise – was given to me in my early youth and is rooted in my heart and memory forever. Each encounter with Ulanova and her art, each memory of her – is always a great thrill and happiness. With thanks to her and gratitude to Fate for having given her to us." Sviatoslav Richter: "Ulanova has charted new paths in ballet …Not only has she given us unforgettable characters, she has created her own artistic world – a realm of human spirituality… Ulanova has transformed ballet into a popular art form. Thanks to her even its most implacable enemies have become its supporters and thousands of people now acknowledge ballet to be a vital necessity." Margot Fonteyn: "I cannot even begin to talk about Ulanova's dancing, it is so marvelous, I am left speechless. It is magic. Now we know what we lack." Maya Plisetskaya: "Ulanova has created her own style, has schooled us to it. She represents an epoch, a time. She has her own hallmark. Like Mozart, Beethoven and Prokofiev she has had an impact, she has reflected her age." Arnold Haskell: "My memories of Ulanova are, to me, a part of life itself, bringing a total enrichment of experience. To me, hers are not theatrical miracles but triumphs of human spirit. Where Pavlova was supremely conscious of her audience and could play upon its emotions as upon an instrument, Ulanova is remote in a world of her own, which we are privileged to penetrate. She is so completely identified with the character she impersonates that nothing outside exists." Maya Plisetskaya: "She was an angel and she danced like one." Maurice Béjart: "Galina Ulanova is a ballerina who has grasped the profoundest secrets of art, she has united feelings and their outer expression into an indivisible whole." Rudolf Nureyev: "Only she, the world's Number One ballerina, kept unswervingly to her chosen course, always unassuming, modestly dressed, entirely absorbed in dance and totally unreceptive to backstage intrigue. Her inner strength, her human qualities – these explain why she has remained pure, untouched by the day-to-day hassle of theatre life." Medal "For Valiant Labor in the Great Patriotic War of 1941–1945"
^ "Chapter U" (PDF). Book of Members, 1780–2010. American Academy of Arts and Sciences. Retrieved 25 July 2014. ^ "Мемориальную доску Галине Улановой открыли под музыку Прокофьева". baltinfo.ru. 21 July 2011. Retrieved 28 October 2013. Wikimedia Commons has media related to Galina Ulanova. "2 Architect Rossi Street". Encyclopedia of Saint Petersburg (in Russian). Retrieved 17 October 2009. This page was last edited on 10 March 2019, at 14:15 (UTC).